It was a beautiful Sunday morning on March 18, 2012. 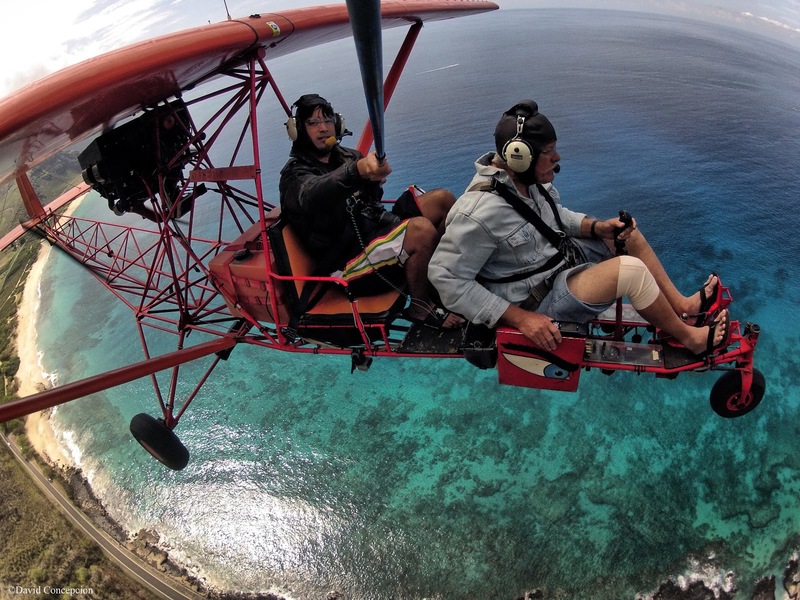 Just like the previous weekend days, I flew up with him on his Breezy and we were rounding Ka`ena Point, enroute to Kalaeloa Airfield after a lunch at Dillingham Airfield when I received news that a hiker fell while climbing Bear Claw Ridge. For those who aren't familiar, Bear Claw Ridge is the windward face of Pu'u O Kona, overlooking Waimanalo. A few minutes passed and received more word that the hiker who fell was one of my best friends, Leslie Charles Merrell. Even worse was when I found out to my horror that he died of his injuries sustained during the fall. In total shock, I told the pilot of the news and he did what every good pilot would do and wasted no time getting back to Kalaeloa as quickly as safely possible. The time was around 3pm. The island of O`ahu would mourn soon after that. And with me being really close to Leslie, him departing this world so suddenly has hit me extremely hard. It's one of those feelings where my mind keeps telling me that he's only on a long trip and that he will be back soon. We were joking around on Facebook and on the phone just a few days ago and now I'm supposed to accept that he's gone forever? Everyone truly needs to be thankful that the sun rises every morning and that you are still there to witness that first sunlight that hits your curtains everyday, days that we otherwise take for granted in our lives. Take time to love your loved ones because you may never know when your time is up. Leslie has changed me forever upon meeting him on the trails. He was one of the few original friends I've befriended when I started hiking the O`ahu trails back in 2008 and 2009. He was the pillar in which will support me for the rest of my hiking days and truly a legacy in which I will continue to take with me everyday, everywhere. 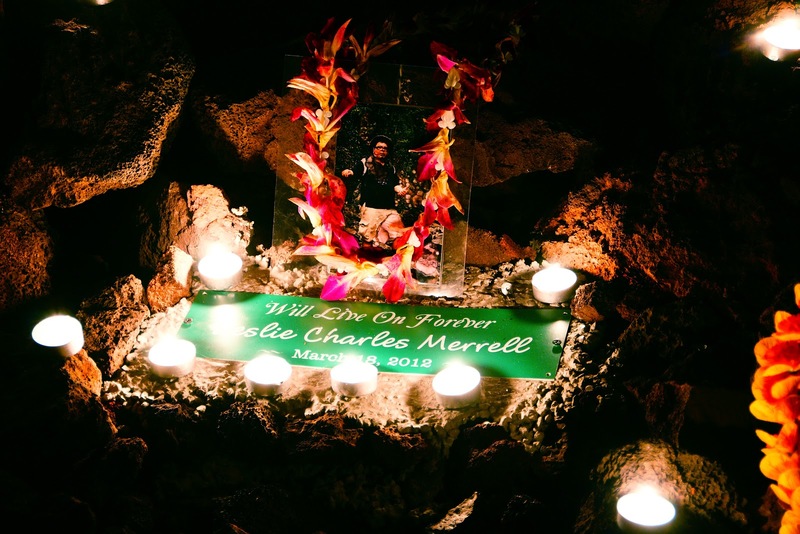 And not just me, but he had great influence on the entire O`ahu hiking community and we will all miss him dearly. Les, I will never forget the many miles we have trekked together since the beginning. I will never forget your distinct "Woo's" when we climbed up steep hills. I will never forget how you would point out those tasty thimbleberries you would always gobble up as we hiked along. I will never forget our awesome day hike we did on Nu'alolo Cliffs Trail in Kaua`i. I will never forget that you would always be determined to finish what you've started, especially on the trails. You truly never ceased to amaze me, my brother. Today, I will continue where you have left off. You have dropped the baton for your awesome meetup group, "O`ahu Hikers & Adventurers" and I have picked it up, vowing to continue your legacy with the group. Your name will never fade away with OHA. You have given me a new reason to return to the trails and I will swear upon that, Les. You have always believed in a higher way of living after death and I'm sure you're up there having a ball, exploring your new eternal home. Hike a trail up there for me, will ya? Will always live on forever. I've always wanted to complete the Ko`olau summit in it's entirely from Pupukea to Makapu`u by segment hiking the summit ridge/trail. With a new desire to return to the mountains slowly but surely coming back to life within my heart, coupled by the recent intrepid 8 day trek on the Ko`olau summit (Pupukea - Makapu`u in one setting) by Chase W. Norton on April 1, 2012, I'm sure I'll be back on the O`ahu mountains we call home.